Under fire on charges of violating India's foreign direct investment (FDI) norms, AirAsia said on Friday that its majority Indian shareholders — Tata Sons and its executives — were in control of the airline. It also blamed ‘vested interests’ for stifling the airline’s growth in the country. 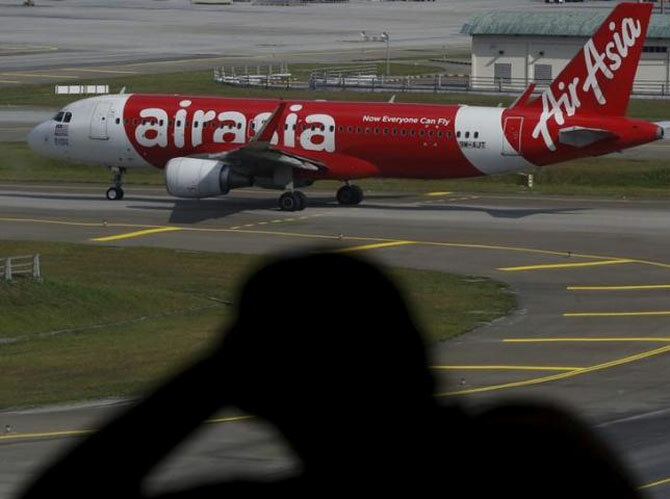 The airline’s assertions come in the wake of the controversy surrounding its brand-licensing agreement, which allegedly allows AirAsia Malaysia to exercise influence and control on virtually all aspects of operations of AirAsia India. This, it is alleged, violates government norms. AirAsia India has said the brand licence agreement it had signed in 2013 with its parent in Malaysia upheld the primacy of Indian shareholders and did not violate the rule related to the “effective control” of the airline. AirAsia India is a joint venture of AirAsia Malaysia (which owns 49 per cent) and Tata Sons and its executives who hold 51 per cent. The airline began operations in June 2014 but has been dogged by intense competition, slow growth, continuous losses, and senior management exits. At the heart of the current controversy is the government's FDI rule, which says “substantial ownership and effective control” of an airline should vest with Indian nationals. Foreign investment in an airline is capped at 49 per cent and its chairperson and two-thirds of its directors must be Indian citizens. On Friday, AirAsia issued a statement saying a clause in the agreement explicitly stated that “substantial ownership and effective control of the licensee remains at all times with Indian residents”. “If 51 per cent ownership vests with Indians, they have majority shareholding and all decisions may be made or vetoed by them. Entering into a licensing agreement is a commercial decision, which would have been approved by the majority shareholders (Indian)... With this limited information, there seems no illegality whatsoever in AirAsia India,” said lawyer Nitin Sarin, who specialises in aviation law. The brand license agreement is also referenced in the original shareholders’ agreement among the founding shareholders of AirAsia India. The shareholders’ agreement was lodged immediately after execution in April 2013 with the Indian government, in full compliance with all regulations, the airline said. AirAsia India has been facing litigation since 2013 with Bharatiya Janata Party leader Subramanian Swamy and airline lobby group Federation of Indian Airlines challenging the grant of permit to the airline. A writ petition is also pending against the airline in Delhi high court. Arun Bhatia, who was a co-investor in AirAsia India till last month, had also threatened to drag the carrier to court accusing Fernandes of ‘remote controlling’ the airline. Tata group chairperson emeritus Ratan Tata had tweeted in February that its group airlines were set up in full compliance with the prevailing government policy in response to the criticism from rival airlines. Can Tata Sons steer AirAsia India out of turbulence?